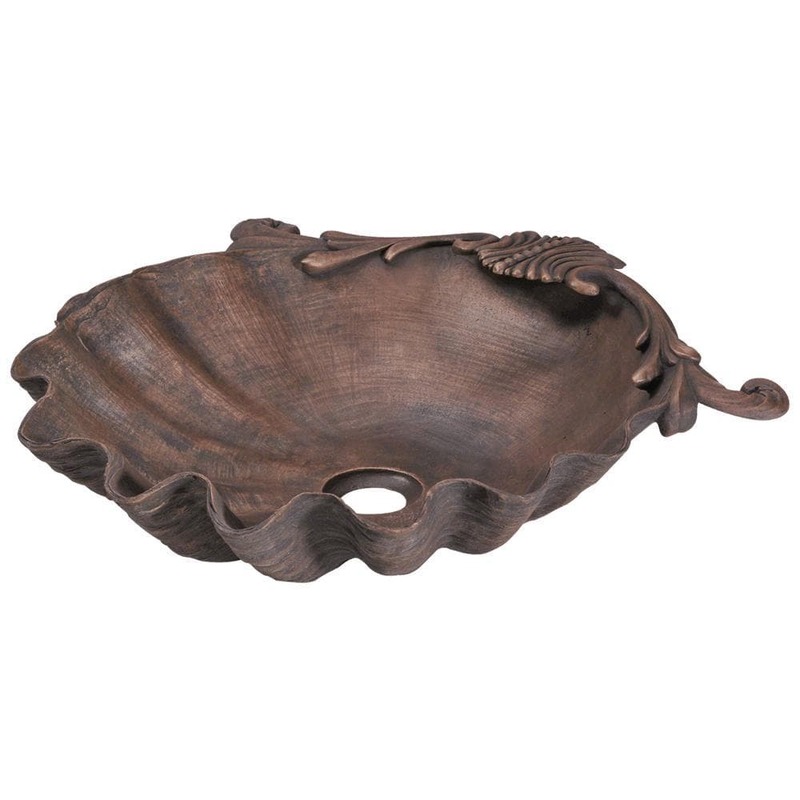 The 952 oval vessel sink is made from pure bronze with one piece construction. The one piece construction ensures a strong, durable sink that will last a long time and the adornments are sure to add charm to any bathroom. This bronze sink is finished with a beautiful antique patina that will help to disguise minor scratches or blemishes that occur over time. The overall dimensions for the 952 are 19 1/4" x 18 3/4" x 5 1/4" with a centered drain and a 21" minimum cabinet size. As always, our bronze sinks are covered under a limited lifetime warranty for as long as you own the sink.